The Executive Program immerses the world's most promising managers into a dynamic environment that encourages second language acquisition to be used as a powerful tool to create competitive solutions. 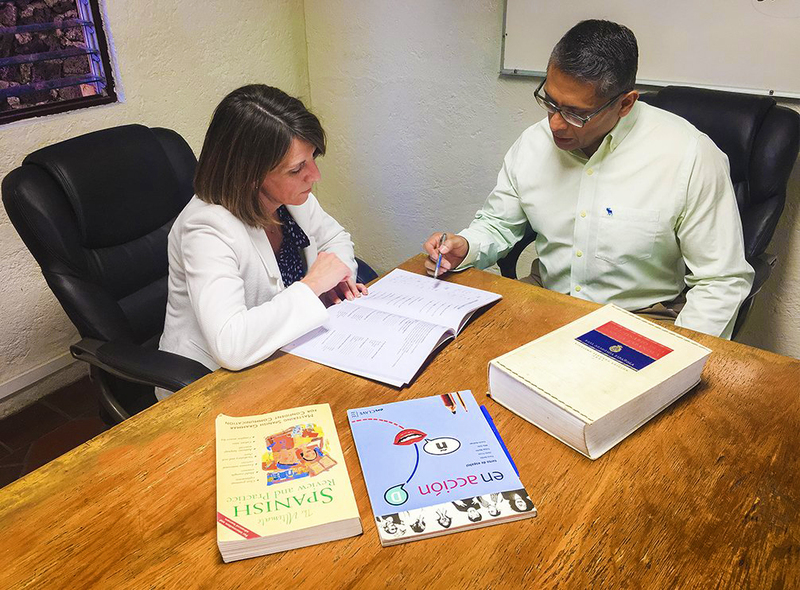 All options are designed to improve Spanish language skills, yet each is developed around a separate set of objectives to meet the evolving needs of business leaders today. The Executive Program is a tailor-made program, divided into 4 options offering up to 9 hours daily, furnishing business professionals with the necessary tools to effectively communicate professionally, the program focuses on 4 main skills: listening, reading, speaking, and writing. Each One-on-One session is led by a different teacher. 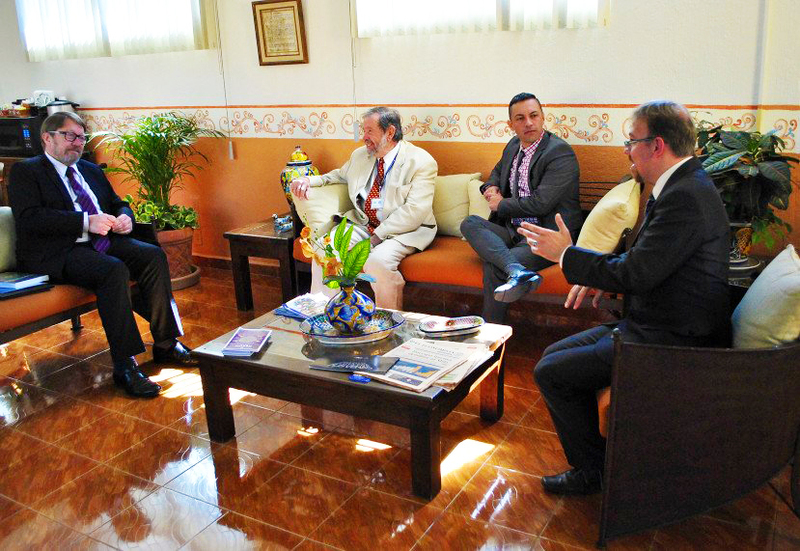 The Intensive Spanish Executive Program can be tailored according to each individual's work schedule. Holidays in Mexico will not affect your program. We can also accommodate personal requests, such as a focus on special vocabulary or terminology related to your profession. Furthermore, if you have certain materials that you want to work with, we would be more than happy to receive them in advance in order to prepare for your arrival. Additionally, private sessions may operate on weekends with a minimum of three hours per day for an extra cost. What are our program benefits? 3. Bilingual assistant located in the Executive lounge to assist you with your academic and/or personal needs. 4. Spend daily lunches practicing Spanish with other executives and professors at the campus restaurant. 5. Executive program operates on holidays. 6. Ability to attend weekend classes for an additional cost. 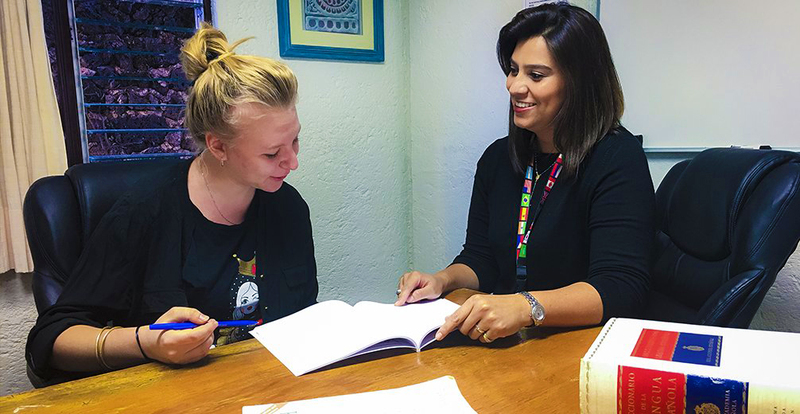 8:00 - 9:00 Spanish (One On one) Intensive Spanish Language Class. Presenting grammar as a means to Communicate Effectively. 11:15 - 14:00 Spanish (One On one) Situations, Vocabulary and Conversation for Specific Purposes and Newspaper Analysis. Writing, Listening Comprehension and Cultural Aspects. (Five students maximum) Intensive Spanish Language Class.